Lyuboslovie is a journal of the Faculty of Humanities at Konstantin Preslavsky University of Shumen. It was first published in 1996. The idea belongs to assoc. prof. Nikolay Dimkov, who became its first editor in chief. At the beginning the journal is a repetition not only of the name of Fotinov’s prototype but also its book-cover. Later on its appearance changes, however, its publication policy assumed at its foundation is still preserved. 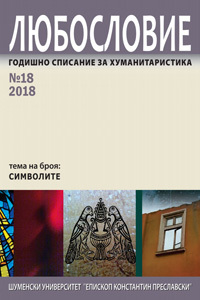 Lyuboslovie is an annual journal (paperback till 2008, since then both paperback and electronic edition) and it contains articles in the fields of philology, history and archeology, theology, theory of mass media by researchers at Shumen University, Bulgarian and foreign scientists. The journal also comprises memoirs and documents which reveal facts about the life and work of notable people in the history of Bulgarian culture and the national social life, as well as reviews of recently published books within the scope of humanities. The journal relies on а competent editorial board of Bulgarian and foreign scientists and accepts articles in Bulgarian, Russian, English and German. The articles are peer reviewed. CULTURAL MEMORY is the title of the new thematic issue of Lyuboslovie and it is to be published in 2019. It is our pleasure to invite you to submit a research article on the topic in the fields of linguistics, classical and modern literature, history, ethnology and ethnography, sociology and political anthropology, visual arts, media and social communication, language teaching, etc. Texts can be submitted also for the Documentary section - memoirs, archives, unpublished documents, etc. Additionally, we accept reviews/annotations of newly published research in Bulgaria and abroad (monographs; collected papers, etc.) related to the present topic of our journal, CULTURAL MEMORY. 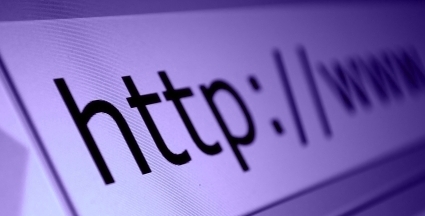 The articles can be written in Bulgarian, Russian, English or German. The submission deadline for the titles and abstracts (120-150 words) is 15 February 2019 and for the papers 30 April 2019. The technical requirements are on the journal’s website (http://lyuboslovie.shu.bg). The articles are blind peer reviewed. The journal is indexed in RINZ and CEEOL. International Standard Serial Number: 10/2009 – 1311-9486; 11/2011 – 1311-9486; 12/2012 – 1314-6033; 13/2013 – 1314-6033; 14/2014 – 1314-6033; 15/2015 – 1314-6033; 16/2016 – 1314-6033; 17/2017 – 1314-6033.